Software-defined storage is changing the way we think about architecting and managing storage services. 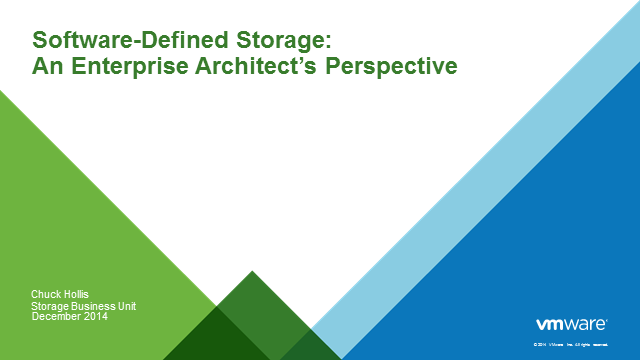 It's not just moving functionality from hardware to software, it's about re-envisioning what storage should do in the enterprise. - Distinguishing between "software-based" and "software-defined"
Chuck Hollis, Chief Strategist, Storage and Availability, VMware, Inc. Presented by: Chuck Hollis, Chief Strategist, Storage and Availability, VMware, Inc.